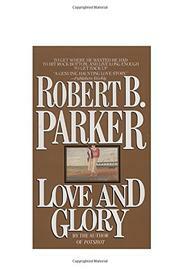 Now that his detective-hero Spenser has become such an earnest, predictable character, one looks forward to Parker's second non-Spenser novel--only to find that this short tale of obsessive-love-triumphant does little more than recycle the least attractive aspects of the Spenser persona. The narrator, whose name and plain/purple prose-style suggest a case of Hemingway-itis, is Boone Adams--an undergraduate at 1951 Colby College (Maine) who loses his virginity with a townie but falls madly in love with classmate Jennifer Grayle. And when Jennifer at last responds, dumping her latest boyfriend for Boone's devotion, "Steadiness surged through me, it suffused me, it warmed and solidified my soul and all things were possible and nothing was fearsome." Then, however, would-be writer Boone is expelled (bad grades, bad attitude), drafted to Korea, and Dear-Johnned by Jennifer, who decides to marry rich, handsome John Merchent from Cornell. "Not yet twenty-two, I had loved and lost and my life was without further purpose. And there was so much of it left, a paralyzing long time of it still to go." So, in a brief interlude reminiscent of bygone, corny Hollywood-montage, Boone goes on the skids for a few years--from job to job, across the country, boozing it up, falling apart. . . till he pulls himself together in California: he saves some money; he reads a lot; he gets into bodybuilding Ã la Spenser. But he never has gotten over Jennifer. (A casual girlfriend gushes: "What you are doing. . . is really quite remarkable. It is the most committed act of will I've ever seen. What you're doing. . . is you're becoming worthy of her.") And so Boone heads back East, getting assorted degrees on the campus where Jennifer and her prof-husband both teach: he quietly re-woos her, impresses her with his echt-Spenser catchwords ("autonomous," "code of behavior"). . . and wins her at last, as his prose adds some imitation-Faulkner to the imitation-Hemingway. (. . . "I felt myself unclench, and my spirit burgeoned spread throughout me and mingled with her perfume and her heat and the weakness was gone and I pressed her against me with the unbestowed strength of a silent quarter-century feeling her press back and feeling my soul begin at last to romp with hers in new created pastures where eternity shimmered before us and time, just begun, was ours forever.") Despite a few nicely wry vignettes along the way: dismayingly thin, self-indulgent work--from a gifted writer whose talent keeps seeping away into narcissism and sentimentality.